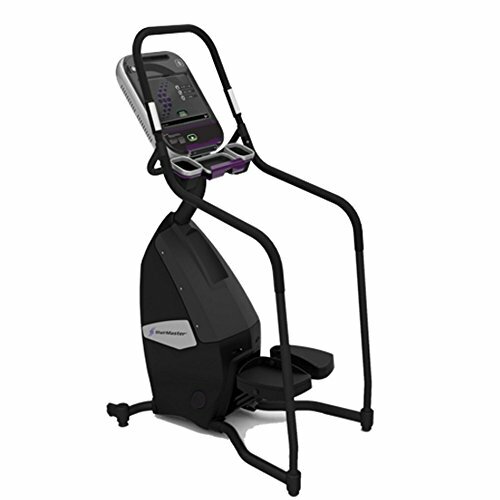 Bring your workouts to new exciting heights with this innovative StairMaster machine. It features 10 workout programs including quick start, manual, fat burner, calorie burner, speed intervals, custom intervals, random intervals, heart rate intervals, calorie goal, and heart rate zone trainer. With multiple fitness tests and an embedded 15-Inch ATSC screen, youll definitely have the most effective and exciting workout ever. Whether you like staying in your comfort zone or pushing your body to its limits, this machine can accommodate a number of pedal descent options with its electronically regulated alternator with drive chain. Keep your cardio workouts exhilarating and get this StairMaster gear today! If you have any questions about this product by StairMaster, contact us by completing and submitting the form below. If you are looking for a specif part number, please include it with your message.